Great news people! 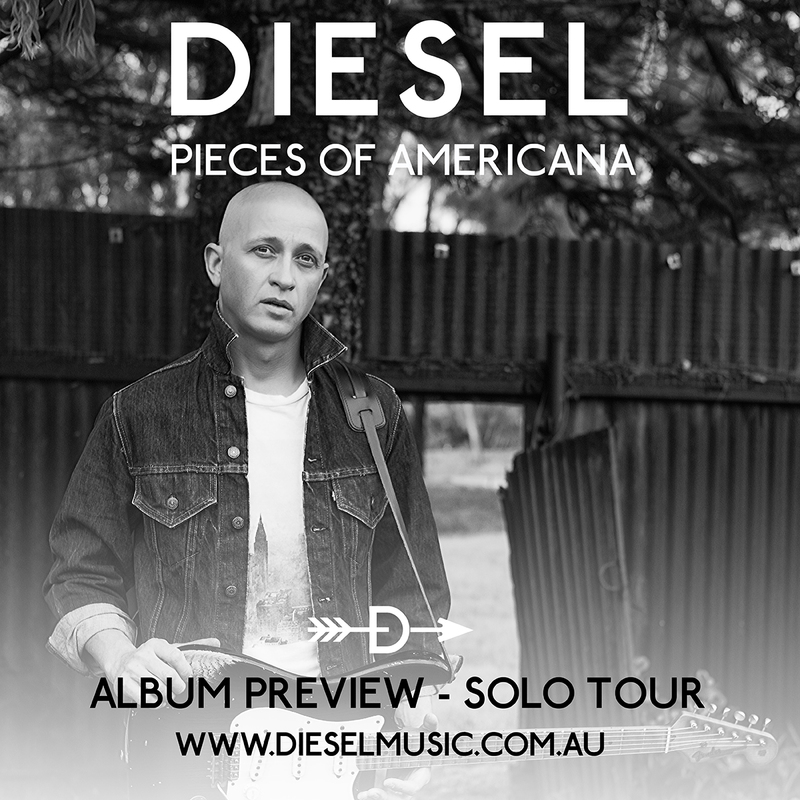 We’ve had an awesome response to the initial announce of Diesel’s ‘Pieces Of Americana’ tour that is serving as an introduction to his upcoming album by the same name to be released mid 2016. So much so, that further dates have been added to the initial run. 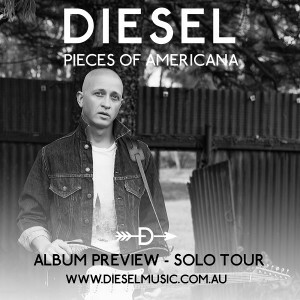 From April 2016 Diesel will head out to regional areas of the country in SOLO mode giving fans the opportunity to hear the tracks raw the way he first approached them but with the added experience of having just recorded “Americana” . There’s a concept brewing over at Diesel HQ … an album on which Mark Lizotte, known far and wide as Diesel, will pause to look back on the path that led him to today: eight studio albums, six ARIA Awards, one of our nation’s most lauded and accomplished rock guitarists and singers. And appropriately, for an artist born in America and raised in Australia, the concept is: Americana. Diesel will be paying tribute to the artists that influenced his own musical stew on a new album – and on tour – by putting his unique stamp on some classic songs. So now, a quarter-century after he busted out of the garage and into the Australian psyche with Don’t Need Love and Soul Revival, it’s time for fans to hear the songs that made the man. With recording underway, Diesel will be taking his concept out on the road from February 2016, infusing his Americana selections into his live set before releasing the album mid 2016. Click here for ‘Pieces of Americana’ Band Tour dates. ‘Pieces of Americana’ SOLO Tour | Tickets on sale NOW!